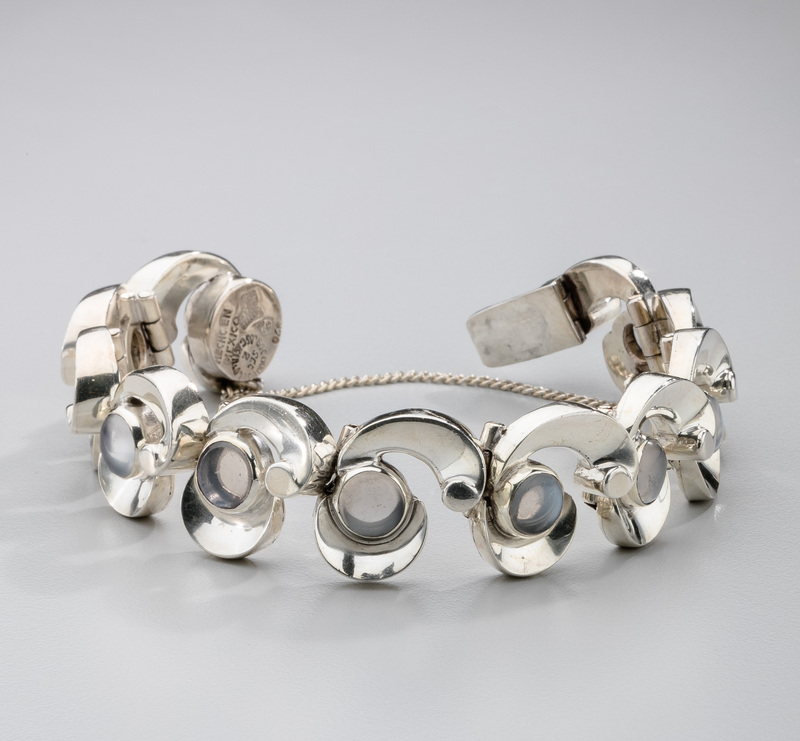 A sterling silver and moonstone bracelet by Mexican master silversmith Antonio Pineda. The silver links are designed in a wave pattern and accented with a bezel set, cabochon moonstone. Signed with the Antonio crown mark, 970 for high sterling content, eagle 58 and SoCoop Los Castillo Hencho en Mexico. This bracelet is unusually marked in that it comes the from period 1962 - 1963 when Los Castillo and Antonio showed together. Excellent with wear consistent with age.